It is nice to see that our sachin tendulkar back to action. After a long long time … it was wonderful thing to see sachine scoring in brilliant fashion. If you are looking for more info on sachin’s profile try here and more images & photos here and here :D. I hope his performance remains stable and will win the up coming world cup. 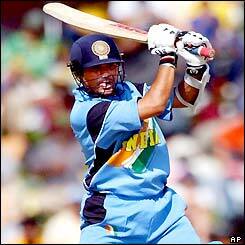 Anand has written very nice article on sachine tendulkar titled as Tendulkar returns with a magical touch. Sachin Tendulkar – We love you!